What does fair housing cover familial status? It is a fair housing violation to deny equal access and opportunity in housing to families with children under the age of 18. This provision is not restricted to refusal to rent to families with children. Segregating such families or refusing to make services and property amenities available would not be allowable. A property owner can not deny a family with children under the age of 6 an apartment because it has not been deleaded. It is the responsibility of the property owner to delead the unit for these families and comply with fair housing. What is included under the protection from discrimination based on public assistance? 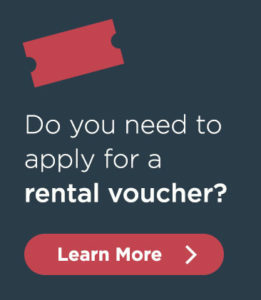 You can not be denied housing if you are receiving public assistance such as rental vouchers (for example Section 8 or MRVP), food stamps, transitional assistance, Social Security, or veterans benefits, as long as you can demonstrate that you are able to pay the rent. However, this protection does not prohibit the property owner from doing a credit check. What does fair housing cover military status? Where can I get more information on my fair housing rights? You can contact the fair housing manager through the Metro Housing|Boston Discrimination Line at 617.425.6681. We will discuss with you your protections under both the state and federal fair housing laws. We can also refer you to agencies for advocacy assistance or to file a complaint.